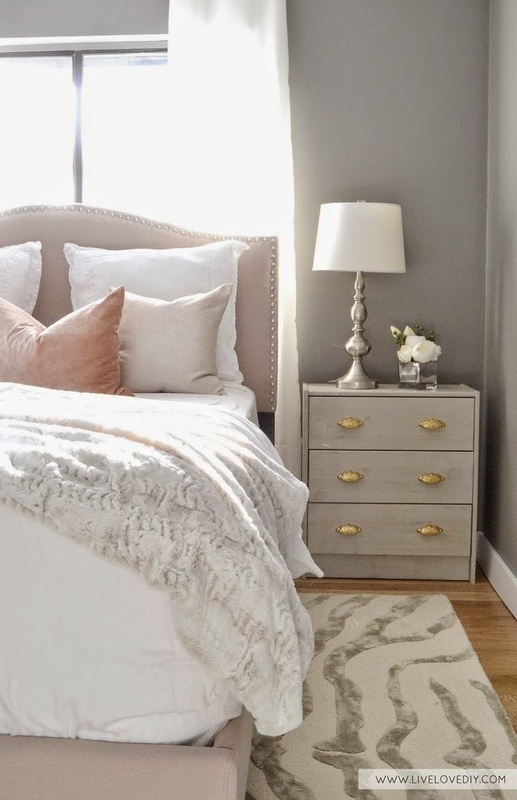 Small bedrooms may pose challenges when it comes to decorating, but there are plenty of ways for you to add elements which will make the room look larger and more airy instead of crowded and cluttered. Here are 21 tips which you can start applying today. Natural light is incredibly important when you want a room to look larger. Avoid covering up or blocking any windows you have. 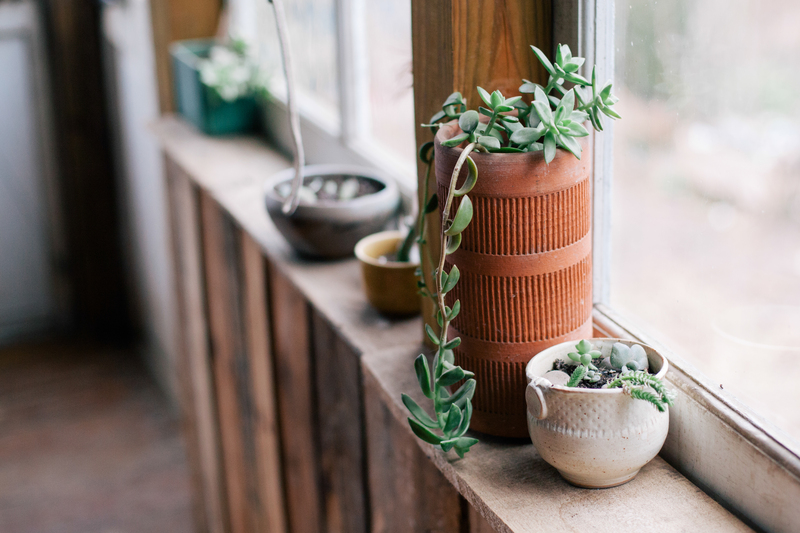 If you ever choose to remodel, consider adding more windows or making existing ones larger. Using light paint on your walls helps the room seem light and airy. 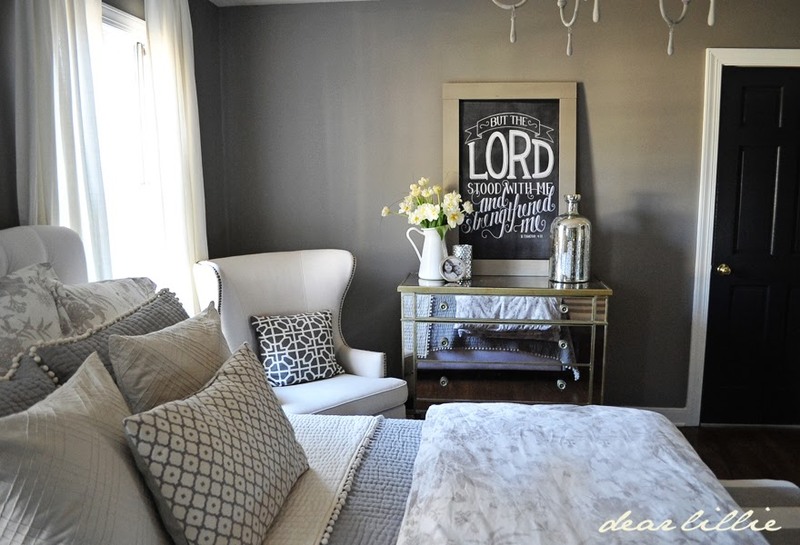 While dark paint may seem cozy in a large room, it will cause smaller rooms to appear cramped, tiny, and dark. You don't need to use all solids when decorating your room, but patterns should always remain appropriately sized. Too large, and the room will appear smaller because the pattern doesn't have enough room. Too small, and the business of the pattern will make the room seem cluttered. It may seem like using small wall decorations is wise, but these technique can actually make you walls seem smaller. A few large statement pieces can actually be far more effective in opening up the space and making it seem larger. If you really want to use small pictures or decorations, group them together to create one large gallery art collection. It's totally possible to get away with almost any type of flooring if you are intentional about decorating the rest of the room wisely. But if you have to redo your floors anyway, you should try to look for flooring which doesn't have a huge amount of contrast to your wall color. Doing this will help the room surfaces flow together instead of visually separating the surfaces into smaller areas. Higher ceilings automatically make a room seem larger and airier. 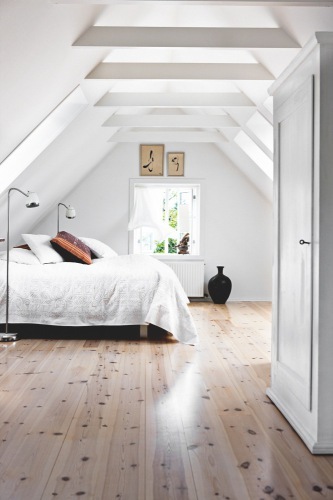 If you have the chance to raise the ceilings in your bedroom, do so! 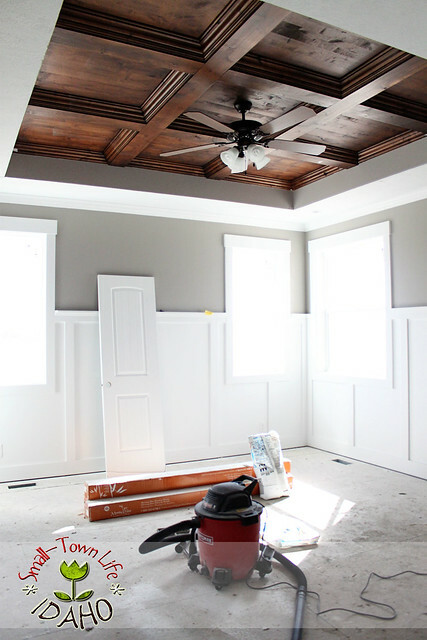 Get rid of any drop ceilings, and embrace the added height of the room. Furnishings which are too large can impede the flow of traffic in your room and make the space look even smaller. Too small and the room can easily look cluttered. Speaking of clutter, it's very important to avoid crowding up your room with a bunch of clutter and knickknacks. Instead of hanging your curtains so that they start just above your window, try hanging the rods closer to your ceiling. Choose drapes which fall to the floor, and you'll find that your windows look larger. The vertical effect of the drapes also helps your room look taller. Too many colors make the room look far too busy. This can make a large room seem cozy if done well, but it will generally make a small room look even smaller. 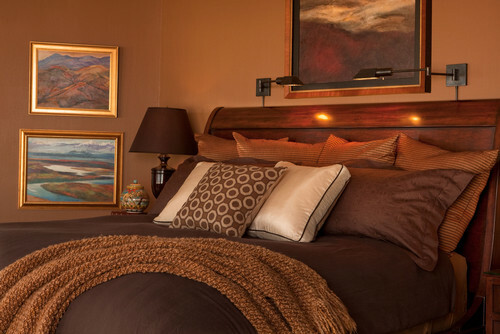 Use different shades of the same color throughout the room for a unified, orderly look. 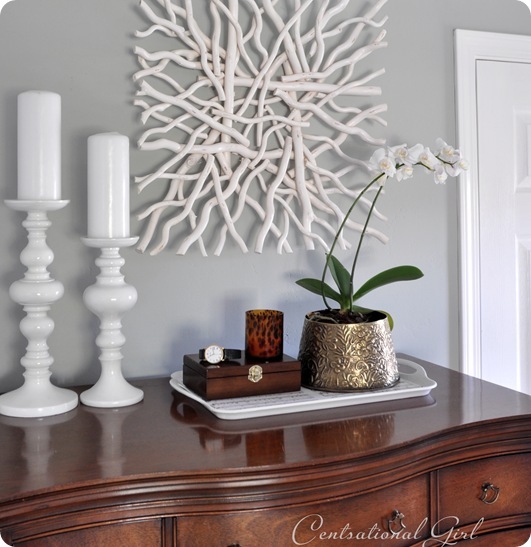 Neutral colors are easy to decorate with. They tend to fade into the background, giving the room a restful feeling and helping you make the most of the space. 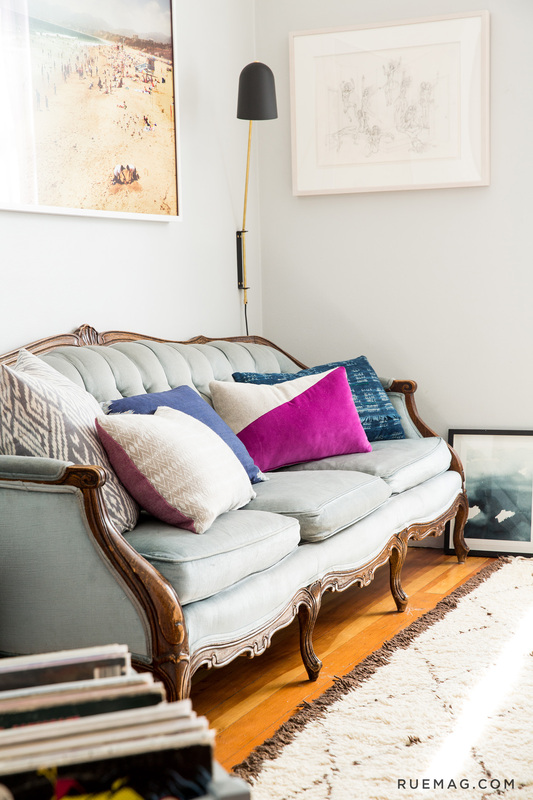 It's also easy to swap out a few colorful accents to totally change the feel of the room when you're ready for some change. 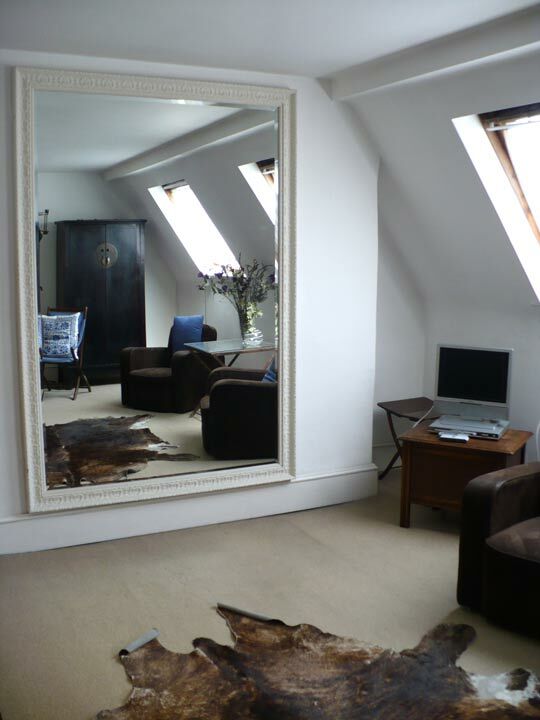 Adding mirrors create the illusion of extra space, which makes the room seem larger. Even though everyone knows that a mirror doesn't really add space and is only an optical illusion, our eyes are still tricked into thinking the room is larger. Using raised furniture helps you see more of the floor, a trick which almost always makes a room look larger. If needed, it will also help you find extra space to store things, since small bedrooms sometimes lack in storage areas. 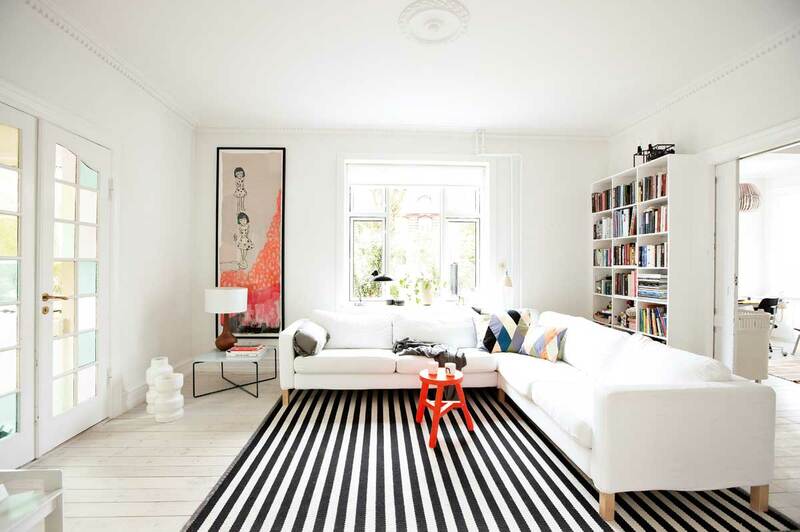 Choosing the wrong size rug is a common mistake, so make sure the one you select fits your room well. Think about what furniture will need to be on top of the rug, as well as which things you'll want to remain on bare floor. There are many different styles out there, from nautical to classical to steam-punk to modern. It's okay to mix some of them, but make sure that you choose elements which work together instead of clashing. Too many styles all together can easily look disorganized and haphazard. If you don't have much room, adding too much furniture can really make a room look tiny. Search for clever furniture that can be used for several purposes, and ask yourself what you really need. If almost all of your clothing is hung in the closet, for instance, it might be possible for you to skip the dresser and store your things in a small night table instead. The longest possible straight line in your room will be the diagonal one. Setting your bed or other furniture at an angle might give you more design options and help your room look more spacious than it really is. Stripes naturally cause your eye to feel that an area is elongated, which can be a handy trick for you to use when decorating a room. Knickknacks are a great way to add character and personality to your room. You can use them to add color and style as well. When you add knickknacks, you should either choose a few which are medium-sized, or group similar small items together to form a collection. Even if you're lucky enough to have tons of natural light, you can't always be sure that the sun is going to shine. Rainy days and winter evenings mean that you'll have to rely on artificial light fixtures, so make sure that you have enough of them in your room. You can either install more ceiling lights to brighten up the room, or simply add lamps.